Visit the Island, but with a light footprint. 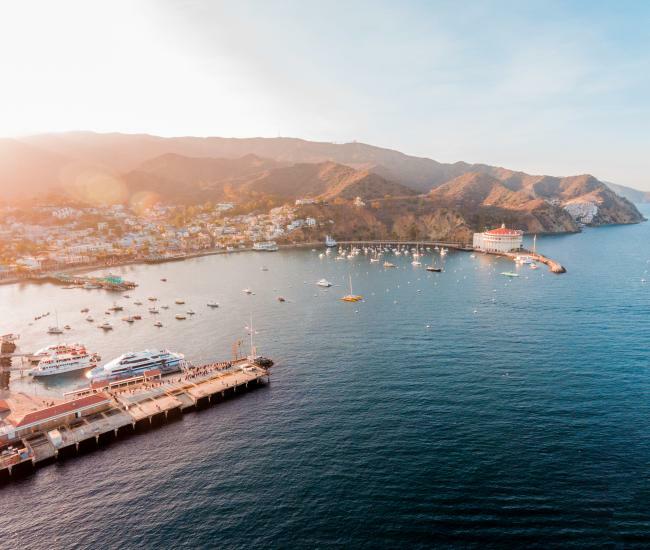 When visiting Catalina Island, the need to be conscious of limiting waste and consumption of precious resources is paramount to the long-term experiences had by visitors and residents alike. Likewise, limiting human impacts and protecting our environment are necessary so that future generations can continue to enjoy this very special place. As a community, we are working hard on sustainability. 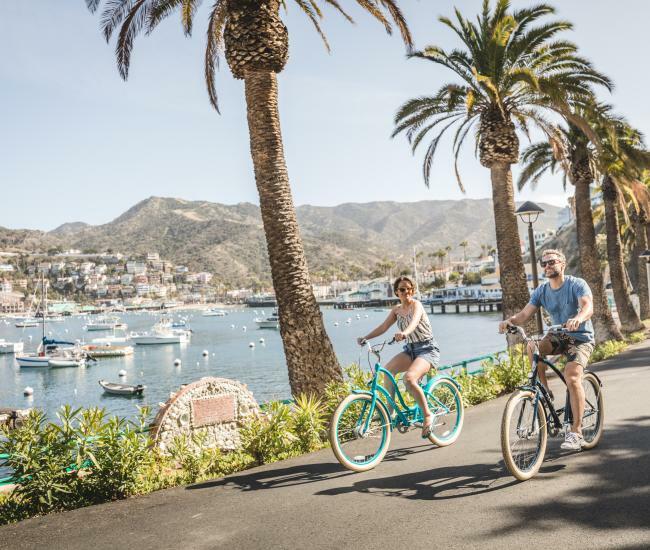 The Catalina Island Conservancy manages nearly 90 percent of Catalina’s majestic landscape. Learn about and respect the spaces they protect and offer for your enjoyment. They were honored as CalTravel&apos;s Tourism Steward of the year for 2018/19 due to their extensive work on trails and greening of infrastructure under their control (and much, much more). We also work closely with the Catalina Island Marine Protection Area&apos;s collaborative group to inform where boating and fishing is allowed/limited or not allowed around our island. The majority, if not all, of our local fishing boats and seafood restaurants support sustainable practices too. The Catalina Island Chamber of Commerce & Visitors Bureau is a proud member of the Global Sustainable Tourism Council. Check out our destination vision and work plan here. Care for Catalina is an evolving program, so check back frequently for additions and changes. One of the best ways to minimize your impact as a visitor, is to travel to our more off-the beaten path locations or at off-peak days/times of year. Some other ways to visit the island with a limited impact are outlined below. July is the busiest month of the year and Saturdays have the highest number of guests arriving on the island. For assistance in planning your low impact visit, contact the Catalina Island Visitor Center. We are always open to suggestions and comments based on your experience on the island. Leave it like you found it, or even better! Carry in, Carry out. Pick up litter and place crumbs, peels and cores in your nearest waste/recycling bin. If you brought it with you to the island, please take it home when you go. Any of our 400 native plants and 200 non-native plant species will live forever in a photo. Snap away, but only with a camera. Participate in Voluntourism programs like beach clean-ups, harbor clean ups and more. Consider making a group project of Voluntourism before or after your island meeting/event. Avoid use of plastics whenever possible, as plastics are the top ocean pollutant and are extremely harmful to ocean species. If you come into contact with a sick or injured wild animal contact the appropriate agency for their care. Report sick or injured marine animals to 800-399-4253 and land animals to 310-510-0393. Skipping a linen change in your Hotel or Bed and Breakfast stay saves over 17 gallons of water and reduces use of fossil fuels and cleaning chemicals. Short Showers should be the norm no matter where you go, but even more so on Catalina Island where we have to depend on mother nature or expensive desalinization systems to provide water. Avoid sunscreens with high content of Titanium Dioxide. This mineral does not biodegrade and is found to react in warm seawater to form hydrogen peroxide which is harmful to all sea life. Oxybenzone and octinoxate, the two chemicals recently banned in Hawaii and are believed to cause coral bleaching. Keep your distance. Wash yourself, your dog or whatever else needs cleaning at least 200 feet from waterways, and use biodegradable soap. Use pump out facilities (Catalina Harbor or Two Harbors) to dispose of holding tank wastes. Separate all trash; a trash pick-up vessel, “The Salad Bowl," services all leeside coves during the summer months. However, returning your trash to the mainland is greatly appreciated. Bring along reusable water bottles or hot drink tumblers to limit waste and stay hydrated in without the plastic waste. A map of Avalon’s free water bottle filling stations and additional options are found in campgrounds in the Island’s interior. Every ounce counts in fuel consumption on our boats, planes and helicopters that bring guests to and from the island. Coordinate with your fellow travelers to eliminate duplications in packing. Limit your total weight of carry-ons to 50lbs or less. Avalon’s stores and restaurants offer most everything you would find on the mainland, so there is no need to pack food and supplies except for highly specialized items. With 165 miles of marked trails, 8 designated campsites and 17 boat-in campsites, there’s no need to venture beyond. By sticking to these areas and camping at least 200 feet from lakes and streams, you’re helping natural areas stay natural. Always check for fire restrictions. Despite our cool island breezes, summer heat can create dry, dangerous conditions. Keep campfires small and manageable to avoid sparking wildfires. Use only designated locations for campfires. Never let a fire burn unattended. When putting out a fire, water it until you can handle the embers. Use care when smoking. Always put cigarettes out completely and don’t leave your butts behind. And, beware, there is no smoking allowed on Avalon’s beaches. 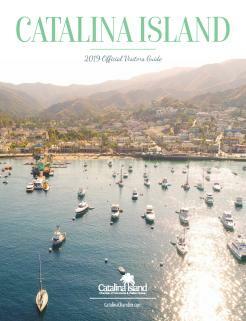 Catalina is home to over 60 plant and animal specials found only on Catalina and nowhere else in the world. It is not unusual to come into their proximity. To keep them – and you – safe, don’t approach them. Keep your pets leashed when enjoying dog-friendly trails, and pack out their waste. All the way to a trashcan. Dogs are not allowed on Avalon’s waterfront beaches or along Crescent Avenue, but there are plenty of pet friendly places to take Fido elsewhere. Get some JOMO (Joy of Missing Out), by silencing your cell phone before stepping into nature and speaking softly without using the speaker function. Listen to nature. Keep your voice and music soft so all can enjoy the peace of Catalina Island. 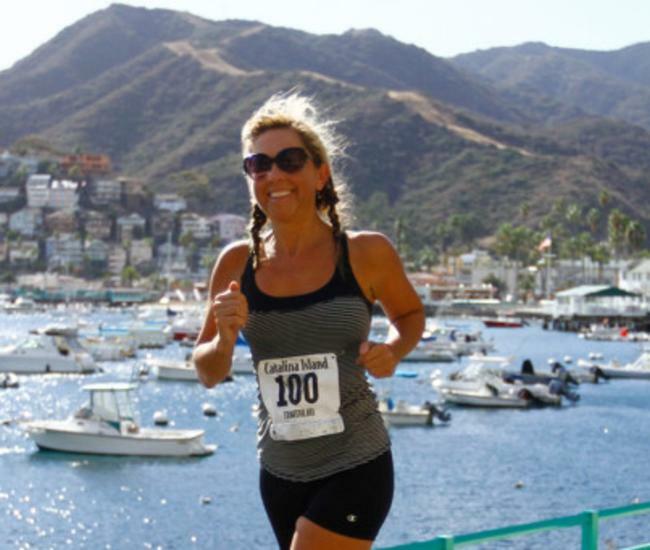 Care for Catalina is not only about visiting the island, it’s also about caring for the island as a resident. Community-wide clean-up day. On April 13, 2019 we are holding our first community wide clean-up day. We have civic groups like Avalon Rotary and Interact Clubs. City of Avalon Public Works and Department of Recreation, Boy and Girl Scouts, Avalon Teen Center, area nonprofit’s including the Catalina Island Conservancy and Avalon Beautiful, plus a wide range of for profit businesses, are all donating time, talent and money to make the clean-up have a high impact. We intend to keep 100% of the trash/debris collected out of our very limited landfill, by shipping directly to recycling centers off island. We have also done a study to determine the ways visitors and locals are taxing our infrastructure and determined that but for a handful of days per year, our infrastructure is meeting demand. In partnership with SMG, we are about to launch a resident and business sentiment survey that will ask questions about the impressions both sectors have on the impacts of visitors to the island and be able to segment any differences in the impressions by homeowner, vacation homeowner, business owner, renter, etc. The following organizations have joined in partnership with the Care for Catalina in improving the sustainability of the Island.